December 12, the network got information about what will be the new flagship of the Chinese corporation. It is reported that it will receive a slider design, that is, the front camera and other sensors will be hinged from the top of the case. Due to this, the display of the mobile device will take at least 95% of the total area on the front. The main feature of Xiaomi Mi Mix 3S will be the triple main camera that the creators of the mobile device will provide with the support of a 5x topical zoom. It will receive sensors at 20 Mp, 16 Mp and 18 Mp, resulting in a total resolution of the camera is 48 Mp. Exactly the same photomodule will be used in the model Xiaomi Mi 9, as well as, possibly, some other phones of the first half of next year. The novelty will also be able to connect to some 5G networks, most likely, only in China. Its hardware basis will be an eight-core Qualcomm Snapdragon 855 processor with a 2.9 GHz clock and Adreno 640 graphics. On the front of the mobile device, there will be a place for a dual camera with a resolution of 12 megapixels and 12 megapixels. 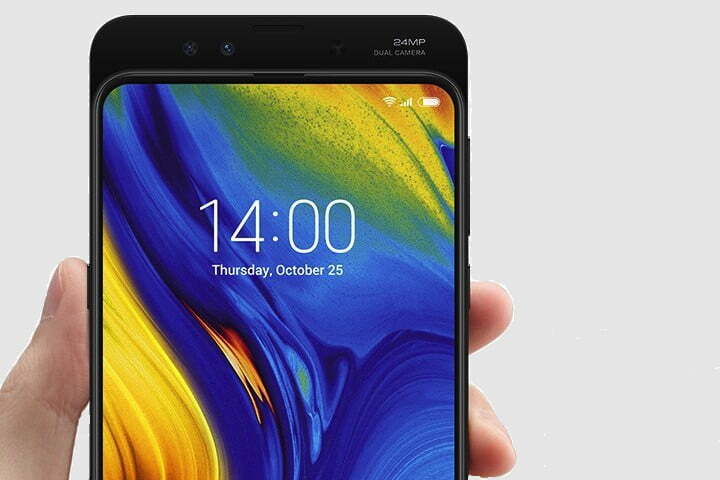 Buy phone Xiaomi Mi Mix 3S buyers will be available in versions with 6/8 GB of operating and 128/256 GB of regular flash memory. However, the release will also launch a special version of the flagship, which will be able to boast 10 GB of RAM and 512 GB of ROM, but its price tag will be highly inflated. There is reason to believe that the Xiaomi Mi Mix 3S will have a built-in fingerprint reader. The usual 3.5mm headphone jack will not be in the novelty, and USB Type-C will be used for recharging. The basic initial configuration of the phone will cost buyers $ 580, but it’s important to remember that such a price tag is only relevant for China, while in other regions of the world, this device will cost much more.